As I visit churches in different Christian denominations with varied worship styles and sermons that swing between topical and expository, verse-by-verse teaching, I am often struck by the one thing most have in common: the absence of the presence of the divine. In our sanitized version of Christianity, we do church as though we can waltz into God’s presence by means of fine-tuned worship, hip videos and carefully rehearsed prayers. Jesus, our home-boy, is going to show up to give us all a high-five. No blood necessary. Not so. 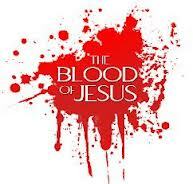 Jesus’ atoning blood sacrifice is central to the faith and key to coming into the presence of God. But you will almost never hear that from a modern pulpit. The church once preserved this trail of blood that runs from Genesis to Revelation in the old hymns of the faith: “Are You Washed in the Blood,” “I Know it was the Blood,” “Nothing But the Blood of Jesus” can wash away our sins. God, on the other hand, puts blood front and center in worship. In Leviticus the priests begin their service by presenting an array of specific bloody offerings and burnt sacrifices. Unblemished goats, oxen, rams, lambs, kidneys, livers, hides, flesh, even heads, are reduced to ashes. The priests slaughter these animals, piece by piece, burn the fat, pour blood around the altar. Clearly, they had to be covered in blood head to toe by the time all the sin offerings and peace offerings were done. The priesthood was a bloody business. The blood is about dealing with sin before approaching God. In contrast, the Levitical priests ministered by way of the blood and “fire came out from the presence of the Lord” (Lev 9:24) and consumed the sacrifice. The people saw His glory and fell on their faces. When was the last time you saw that in your assembly? The path to the presence of God is paved in the blood of Christ, to which the blood of lambs and rams looked forward. No matter how educated our preachers or how great our programs: No blood, no glory!